Corporate careers can be all-encompassing and no matter how high you have climbed the ladder, this line of work can be a constant struggle. You work hard at your corporate job but the achievements that initially energised you to push for greater success no longer seem as rewarding. After being trapped in the rat race of acquiring fame and fortune for the first half your life, you started to feel a sense of emptiness within you, and wonder what you should be doing next. If you find yourself thinking “Is that all to life?”, be rest assured that you are not alone in feeling this way. If money and achievement is the only yardstick with which you measure your life, you will always end up disappointed because the quest for more will be never-ending. But if you put meaning and purpose into the work you do, you will reclaim your life and find the joy you truly deserve. 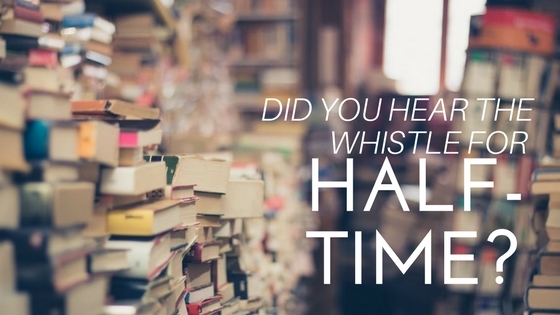 The earlier you can make the transition to what Bob Buford, the author of Half Time, defined as the “second half” of life, the better off we will be. The second half can be a time of revitalisation where life can be even more rewarding than the first half. But it is really not a matter of age but a matter of mindset and priority. It is when you decide to move on, put the focus on family and relationships, and start living life according to your own agenda rather than other people’s agenda. What type of activities do I want to get involved in? What memories do I want to leave behind for people to remember me by after I die? What characteristics does my ideal life have? In answering these questions, you need to be as honest with yourself as possible. The manner you live the second half of your life is a matter of choice but clarity is important at this critical juncture, as it will be easy for you to lose your rudder on the journey. We all know that the fastest way to succeed is to learn from the experience of others, especially those who have walked the journey before us. As far as possible, you should avoid learning things yourself the hard way. One easy way to learn from other people’s experience is to read. Reading allows you to learn from many people that you otherwise have limited access to. Through books written on relevant topics, you have virtually unlimited access to their experiences. Another way is to actively seek out others who have said goodbye to their corporate life in pursuit of a more meaningful passion. Find out from them what works and what doesn’t. Seek their advice on how they managed to start from ground zero to living the second half of their lives. Ask questions on how they planned for their transition, what are the pitfalls to avoid, how to manage risks, etc. No man is an island. One of the best ways to feel more in control of your life is to develop a strong network of friends and associates you can count on for support. Research has shown that having a strong personal support network can help us cope with many sources of stress. We need others to help us move out of our comfort zone, possibly through a difficult transition too. The stress that you will face when you exit from the corporate system that you have been so familiar with to enter a brand new world cannot be underestimated. Do not be surprised if the networks you used to have while you were in the corporate world vaporised after you have made the transition. Hence it is important that you work on expanding your network by reaching out to others and developing new friendships. Attending networking events before making the transition will be a good way to meet and connect with many people on one occasion. If we were to live our best second half of life, to embrace these years and flourish, we need to change our mindset, rebalance our priorities, and take action to get ready for the journey ahead. The second half of life presents us with the opportunity to develop wisdom and character. It is also a time for us to impact lives and contribute back to our community in meaningful ways to make our world a better place. The choice is always ours. Kok Hwa left his corporate job a baker’s dozen years ago and is now living the second-half of his life as a Publisher, Coach and Learning Facilitator. He has coached hundreds of authors to publish and market their books through his work at Candid Creation Publishing. He enjoys nurturing and extracting the potential book out of every aspiring author and helping them become game changers in their niche. To help you or your organisation turn ideas into marketable books, contact us today. We provide a one-stop publishing service that takes individuals and organizations from idea to market. Our objective is to lower the barriers to getting published and to make professional publishing accessible to all and with a personal touch.